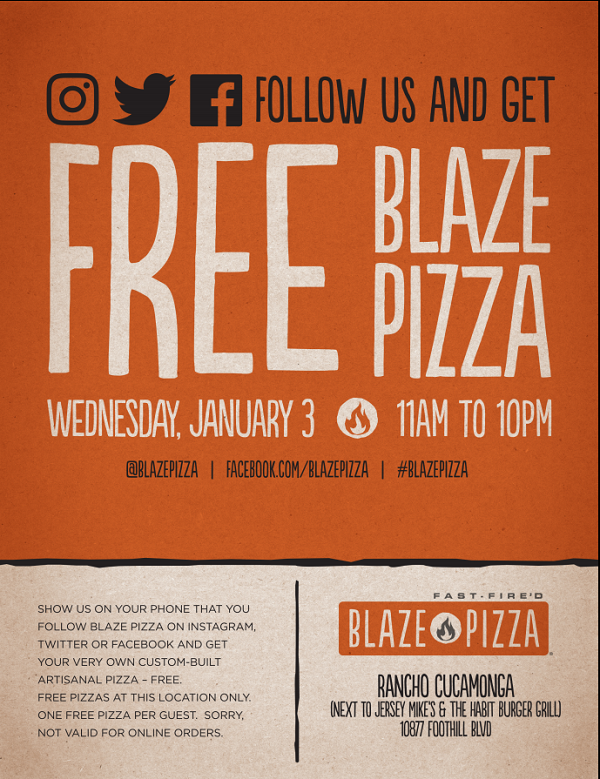 During the grand opening, guests who show on their phone that they are following Blaze Pizza on Instagram, Twitter or Facebook will receive a free pizza. The new location is at 10877 E. Foothill Blvd. The chain opened its first Rancho Cucamonga location in Victoria Gardens back in 2015. Other Inland Empire locations include Riverside, Claremont, Ontario, Eastvale, Cabazon, Temecula, Palm Springs and Palm Desert.